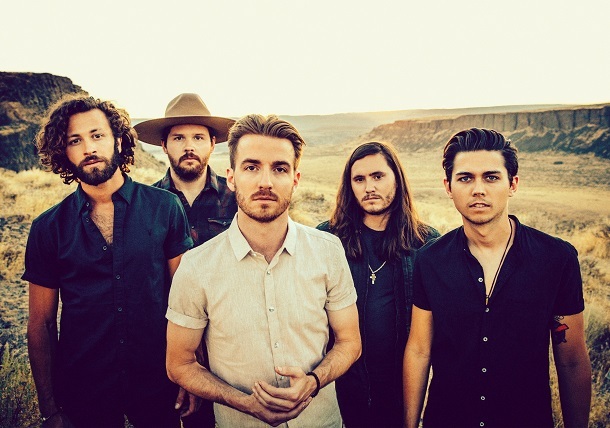 The City Parks of Clarksburg has announced chart-topping country music band, LANCO, is set to perform at the Clarksburg Amphitheater on Saturday, July 7th, 2018. Hailing from Georgia, Tennessee and Kentucky, this quintet is known for crafting feel-good country anthems tinged with classic rock and blues edges. Their platinum single Greatest Love Story appears as the theme to the Netflix series The Ranch (starring Ashton Kutcher), currently has over 61 million views on YouTube, and reached No.1 on Billboard’s Hot Country Songs and Country Airplay charts. LANCO debuted their first full-length studio record, Hallelujah Nights, earlier this year. The album soared to No. 1 on Billboard’s Top Country Albums and featured the singles “Long Live Tonight” and “Born to Love You.” This marked the first time that a new group without any format-entrenched members entered at No. 1 since Lady Antebellum's 2018 self-titled debut. Additionally, Rolling Stone has ranked the band among its esteemed “Country Artists You Need to Know” listing. Texas-bred country duo, Smithfield, will open the concert and has also been pegged by Rolling Stone and Billboard as “artists you should know.” Their 2018 debut single “Hey Whiskey” has reached #3 on SiriusXM’s The Highway with 2.5 million Spotify streams and 1.4 million hits on YoutTube. This event marks the third major concert announcement of the year for The AMP. Country Music singer, Granger Smith, and Contemporary Christian group, for KING & COUNTRY were also recently announced for the 2018 summer season. LANCO tickets go on sale at 10am on Tuesday, May 22nd, 2018, and there is no pre-sale scheduled for this event. Advance tickets will be available by visiting www.ClarksburgAMP.com or by calling 866.973.9610. Advance tickets will be $20 for general admission, $32 for reserved seating and $37 for premium seating, which will include the first 7 rows from the stage. Day-of-Show tickets will increase $5 for each section and will be available at the venue unless they sell out prior to the event.